← Just Who Is the President Here? Of course the bad guys always figure something out to steal your money. 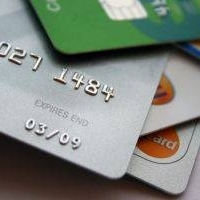 RFID credit cards use a radio frequency to transmit personal financial data. They are not swiped through a scanning machine like a traditional credit card. Unfortunately, RFID credit cards can be skimmed when an unauthorized user grabs the unencrypted data from your card using an RFID reader. The technology Website EnGadget found that data from RFID credit cards is easily skimmed using an $8 reader purchased on eBay. Credit card companies are aware of the problem and are creating security fixes, but there are a number of steps you can take to protect your financial information. Leave your RFID credit cards at home. If you are concerned about the safety of your information on your card, use it only at home for online purchases. Pay for purchases outside your home with cash or regular credit cards. Stack your RFID credit cards together in your wallet. Putting your cards next to one another will make it harder for a scanner to read the data on a particular RFID card. However, this only offers a small amount of protection. Wrap your RFID credit cards in aluminum foil before putting them in your wallet. Some users have reported that this simple, homemade technique helps block RFID scanners from reading the card. Consider a special wallet, such as a DataSafe wallet, if you would prefer not to have a separate shield for each individual credit card. These wallets look completely normal, but they are manufactured with materials that have been approved by the Government Services Administration to block RFID transmissions. Monitor your credit card statements regularly for errors or odd charges. Credit card theft and fraud can occur even after taking the best precautions, but regularly monitoring your bank statements can alert you to any suspicious activity. H/t beloved Joan and Shireen.